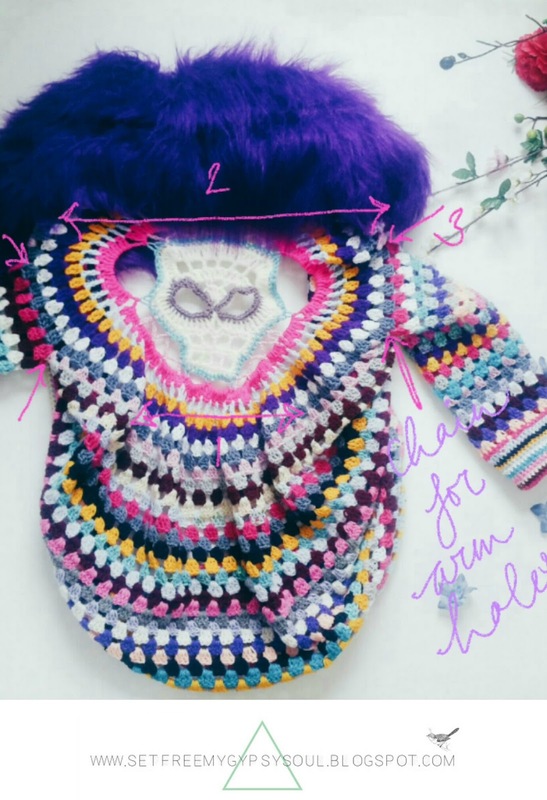 Use Freeform Crochet and basic crochet stitches to form a beautiful bright Bohemian Sugar Skull Cocoon Cardigan with this quick and easy pattern. 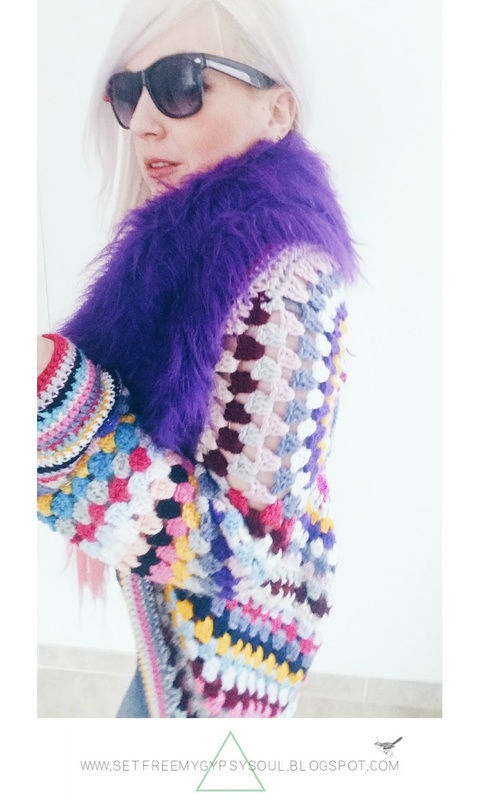 So for today's free crochet pattern I wanted to share with you this vibrant Bohemian inspired Freeform Crochet Cocoon cardigan I made recently. 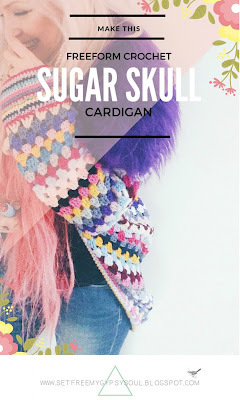 This festival vibe Sugar Skull cardigan actually only started out as my first attempt at a crochet skull and then evolved into a bright, Boho inspired cardi that I just can't seem to wear enough lately. 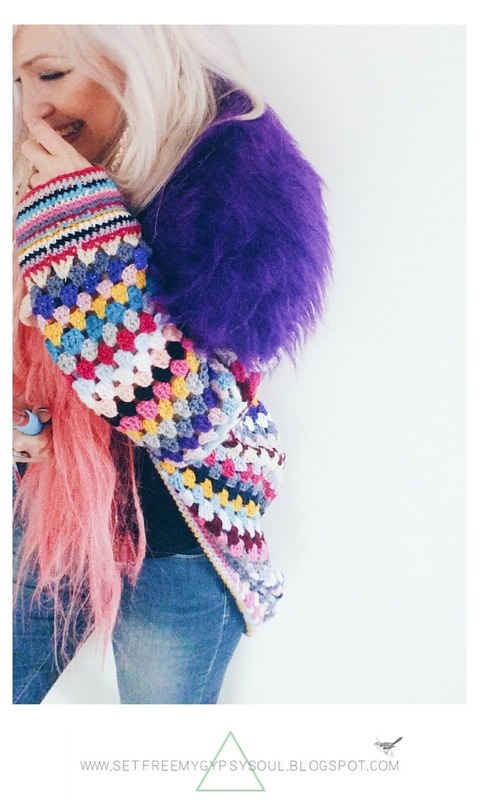 The cocoon cardigan shape is really easy to work up and grows fast! I started with a skull but you could use a Mandala like one of these 3 I made last week. 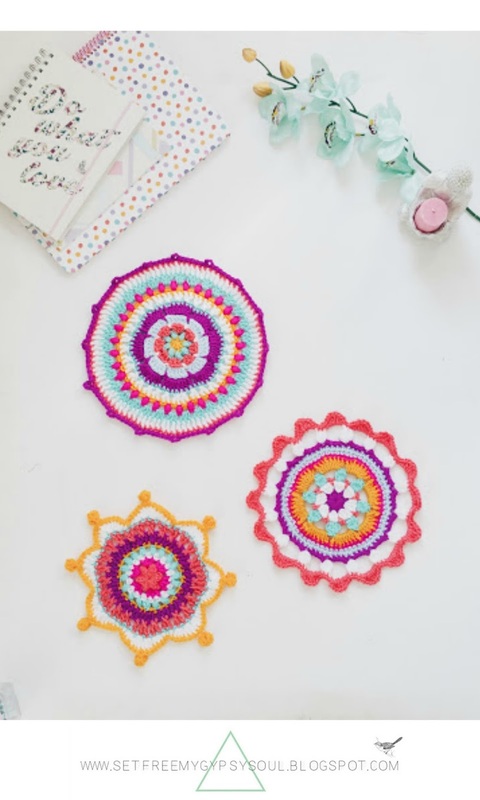 Then make a round but at either side of your mandala design, make 2 sets of chains (*3) around 12 to 15 stitches long to make the armholes. Now just keep crocheting! This is the great part about freeform crochet, go wherever your imagination takes you. 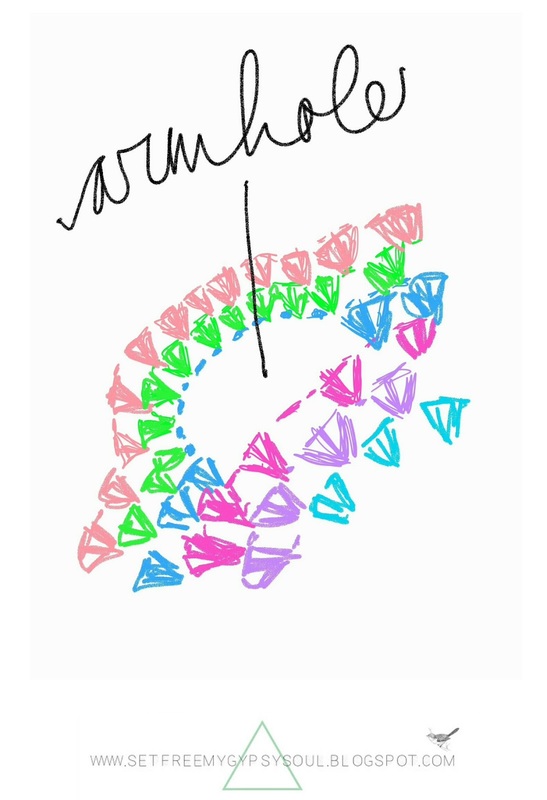 You will basically end up with a HUGE mandala circle with a smoother edge on one side that is your neckline. To make the arms, cast on into a stitch of your armhole and work the arms round by round until they reach mid forearm. I then added rows of double crochet (US single) to make cute cuffs and give the arms some weight. 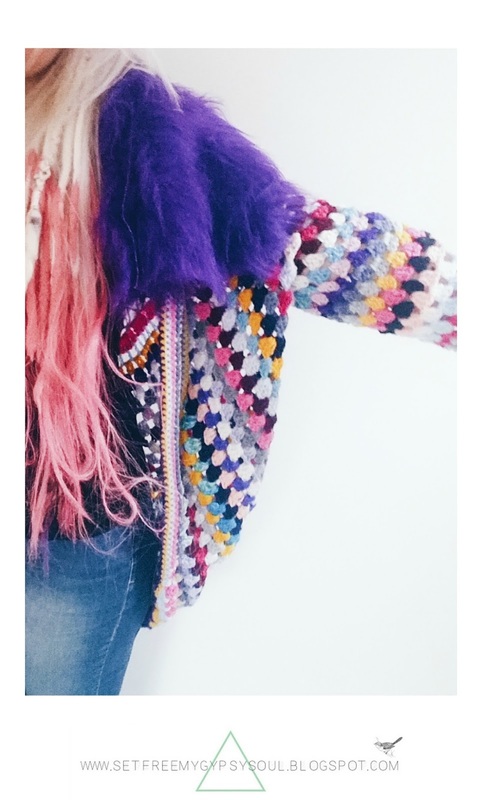 I also added this huge purple faux fur collar for that Coachella/Burning Man festival vibe. You can either sew on or attach with buttons, pins or hook and eye loops to make life easier when washing. 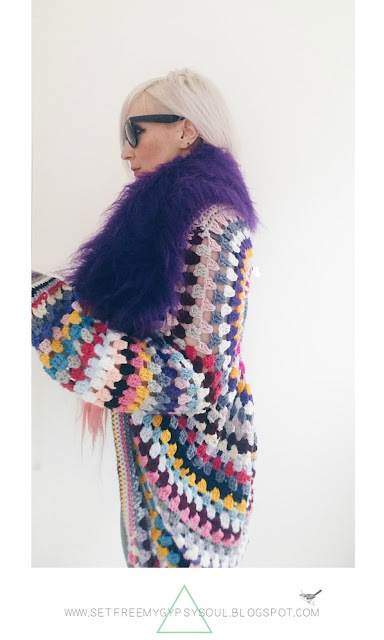 This cocoon cardigan is made using Acrylic Yarn so is machine washable...yay! 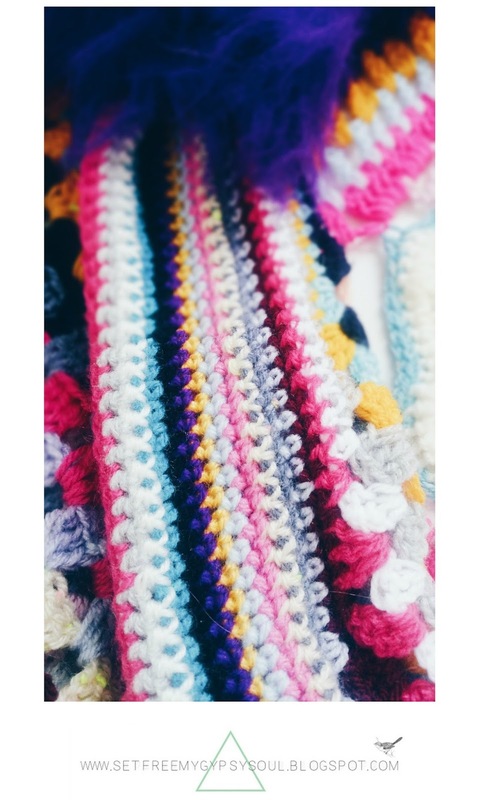 I used a 4.5 mm hook and a mix of DK yarns from all over, but some of these colours definitely came from +Hobbycraft, +Poundstretcher and +Poundland. I hope you enjoyed this Sugar Skull Cocoon Crochet Cardigan pattern! 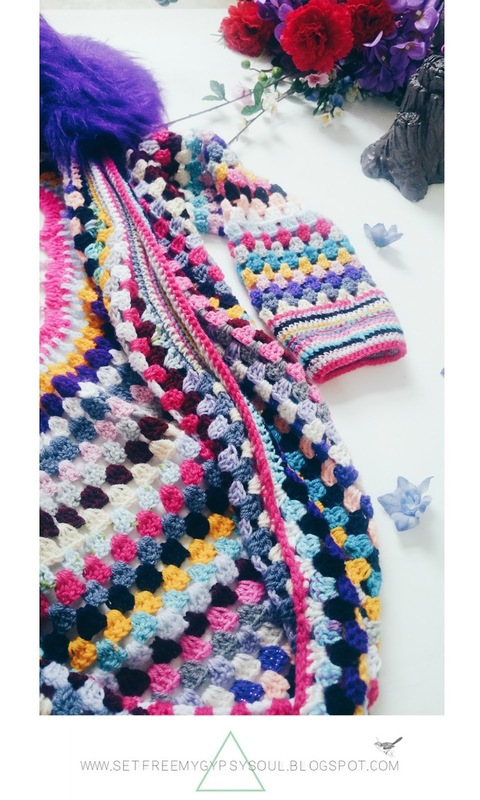 Remember the beauty of freefrom crochet is that there are no rules... you make it up as you go along and let the work form itself. I like the yellow star mandala - This is a good time of year to wear a cardigan. Neat idea - I like all the colors - very pretty and I bet it keeps you warm. 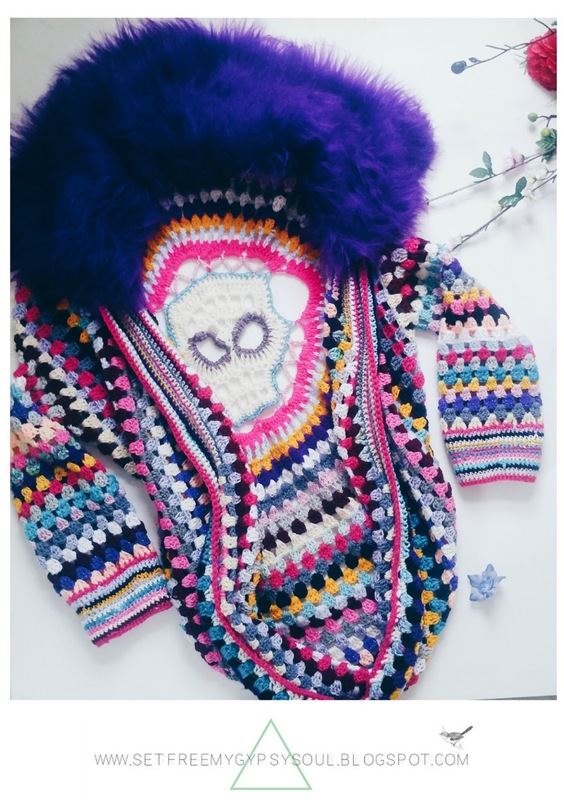 I'm always a little bit cold, so that faux fur collar would be perfect to keep me warm! I like the colors you chose too! I LOVE all of the vibrant colors! I could definitely use one of those beauties now, here in Minnesota!! Thank you for Dia de los Muertos cocoon.